Joar Leifseth Ulsom from Norway made history when he won the Iditarod this morning (Norwegian time). Joar Leifseth Ulsom from the town of Mo i Rana, northern Norway, lives in Alaska. In his sixth Iditarod in as many years it all came together and he crossed under the burled arch in Nome, Alaska round noon CET, with eight dogs in front of his sled. The conditions during this year’s Iditarod have been rough, with storms and lots of snow. Checkpoint Eagle Island was simply cancelled on short notice towards the end of the race as it was not possible to fly there with race officers and supplies. The mushers thus had to load their sleds a bit extra at cp Grayling and cover nearly 200 km distance to reach the next checkpoint, Kaltag. Joar Leifseth Ulsom also participated in Finnmarksløpet once. In 2007, he finished the FL-500 and nearly ended up getting the Red Lantern Award. Ulsom is the second Norwegian to win the Iditarod. Fellow and Ulset’s role model, Norwegian Robert Sørlie, won the Iditarod in 2003 and 2005. This year, Sørlie has followed the Iditarod via snowmobile, and he has met Ulsom at several of the checkpoints along the trail. 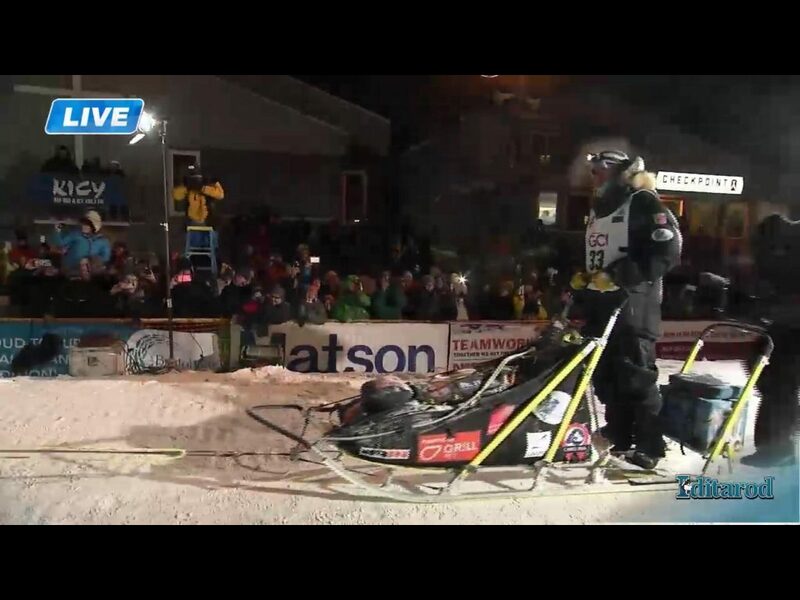 He was also in Nome when Ulset finished the race. Many former Iditarod champions and experienced mushers are behind Ulsom on the trail in Alaska, and winning a race with so many brilliant participants is an excellent accomplishment. A lot has happened since Ulsom raced Finnmarksløpet, in other words. Our warmest congratulations to the Champion of the day!